When I was a recent college graduate I had expressed an interest in attending seminary. I sensed a call on my life to serve in ordained ministry. At the time I was a theological neophyte and was looking for good books to read. One of my friends who was working on his PhD in church history started taking me through Calvin’s Institutes. This was definitely a huge uphill climb—with each step up the peaks of Calvin’s two volumes my brain ached. I had to keep a notecard handy with one-word synonyms for many of the words that I encountered. At the same time another good friend kept on mentioning and quoting another theologian when he taught the Bible study to my college and career Sunday School class. My parents noted the name and bought me several of his books for Christmas. As I read this theologian I could tell that currents of deep thought ran through the pages of his books, but they were still accessible. The book poured forth a steady stream of strongly surging water, but I could get close enough to the water’s edge to get regular sips. He made complex concepts easier to understand and I began to soak in theological knowledge by the bucket-full. Soon I found myself attending his conferences and buying as many of his audio cassette sermons and lectures I could get my hands on. Even though I had a hefty reading schedule in seminary, I found time to read this theologian’s books. I worked in the evenings as a janitor in the library (oh the stories I could tell) and would listen to this minister’s tapes three to four hours a night, five days a week. With his more advanced lectures, I had to make frequent stops by the gargantuan Oxford English Dictionary to find the polysyllabic word grenades that he would throw into his lectures. But the more I listened, the more I liked, the more I learned, and the more I came to love the Reformed faith. God used this theologian to produce a crisis in me. I had to decide whether I would continue to serve in my own ecclesiastical setting or whether I would fully embrace the Reformed faith. Long story short, soon after I graduated from seminary I joined the Orthodox Presbyterian Church and the rest, as they say, is history. I am so grateful for the ministry of this theologian. He taught me massive amounts of doctrine through his books, conferences, sermons, and lectures. He didn’t know it at the time, but God used one of his messages to pour steel into my spine to give me the courage to stand for the truth when some of my seminary professors were relentlessly hounding me for my growing Reformed convictions. He also took the time to respond to my letters and even met me in person for breakfast and talked with me on the phone for an hour before I left to pursue my doctoral studies overseas. He gave me some great advice: “If you have room in your suitcase, pack Turretin’s three volumes in there!” But beyond my own personal interaction with this theologian, over the years I’ve met countless people who tell me a very similar story—that they too were introduced to and came to love the Reformed faith because of this man’s ministry. For all of these reasons, December 14, 2017, was a bitter-sweet day—it was the day that R. C. Sproul died and met his maker, face-to-face. He will definitely be missed by me and many others. Through his books and tapes he was the theological mentor I never had. But his absence, I pray, should remind us of two important things. 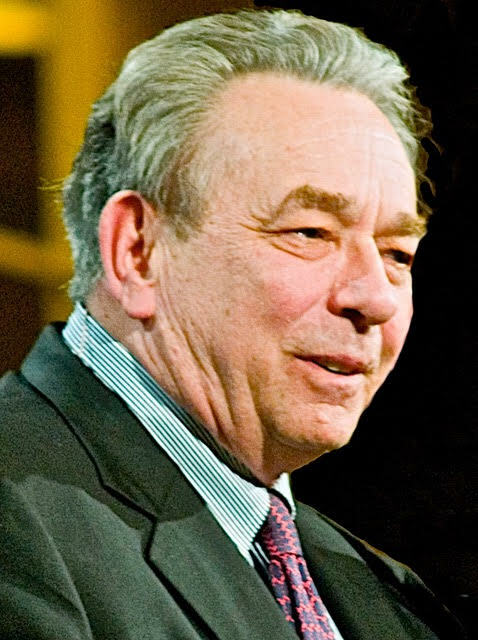 First, although Dr. Sproul leaves some very big shoes to fill, Christ is faithful. He continues to build his church and the gates of hell will never prevail against it. Christ continues to send his gifts to his church, faithful ministers of the gospel to teach and preach his gospel. Second, we should give thanks to Christ for giving us so many ministers over the ages—faithful servants who regularly give us the manna from heaven. Previous Post A Pastor’s Reflections: Be Somebody or Do Something?